How to Journal and Make Sh*t Happen! : The Book Every Woman Craving an Exceptional Life Must Own! "The story intricately explores the teenagers' quirky relationships and the notion of what it takes to feel comfortable in one's own skin. Sophia's character is authentically geeky, and readers will empathize with her anxiety." "Neuroatypical characters, nerdiness, social anxiety, intelligence, and magic make this book stand out among other contemporary romances." "Readers struggling with social and personal interaction issues, awkwardness about fitting into their community, and uncertainty about where their future may take them will embrace this novel"
"Excellent character development of the protagonists (Sophia and Elsie are 'brown girls' of South Asian descent; Joshua is white), their diverse group of friends, and their families (Elsie's brothers, especially, are a hoot) makes the romantic relationship just one among several satisfying story strands, and witty dialogue keeps pages turning." I enjoyed this book a lot, especially the main characters of Sophia and Joshua. I did feel though that some of the secondary characters could have been more fleshed out. Still, a great Aussie YA novel and one I'll happily recommend. I know I've said this before (possibly in my last review of a Melissa Keil book), but I want to be Melissa Keil when I grow up. She writes the most amazingly geeky and relatable (to me) characters. 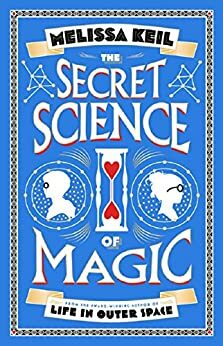 In The Secret Science of Magic, we have Sophia, a maths genius and Doctor Who fan who has all the hallmarks of being on the autism spectrum disorder (although she is bafflingly never diagnosed), along with a massive helping of anxiety attacks and self-doubt (presumably from the lack of diagnosis and treatment). She's also a POC, although her family is very "Australian" as far as I can tell -- if there were any elements from other cultures in there I missed them. Sophia is struggling through the last year of high school, trying very hard not to think about her only friend's impending departure to study medicine in the US. She's acing most of her classes and doing university-level maths on the side, but was pressured into doing drama, which she hates and is terrible at. She has fixated on a Russian maths genius who went off the rails, trying, in her methodical way, to figure out where he went wrong so that she can avoid it -- a bit like Hazel in The Fault in Our Stars, but without the road trip. Elsie, Sophia's best friend, is from a largish Indian family, with three brothers who look lout for Sophia the way her own brother generally doesn't. But there is growing tension there, which Sophia doesn't really understand. The clues are all there, not just for the reader (as is often the case) but for Sophia too -- the problem is that Sophia simply doesn't know how to recognise or interpret them. I really enjoyed this story, which -- more broadly -- tackles the YA issues of "coping with the end of school" and "what next", as well as the universal human issue of self-acceptance. The romance was tentative and sweet, and my heart broke for Sophia and her confusion and social anxiety. The Doctor Who references made me happy, and Josh's various magic tricks, while not really my thing, made me smile. Melissa Keil's books are ones I wish I'd had as a teenager; I'm totally buying copies for my friend's geeky pre-teen when she's a few years older. I chose to read this book because a friend of mine has a blog where she reads typically Y/A books and sometimes I keep an eye on things she’s read. This was one on her to-read list. I simply downloaded the sample first, and although I wasn’t captivated, I found that I wanted to read more so I purchased the entire book. It was a good read and I finished the book in about 24 hours (not non-stop reading of course). The characters were cute, I particularly liked Joshua, he was quirky but confident in himself and who he was. There wasn’t too much teen angst in the book which was good too. Sophia’s character was a little bit more difficult to like. The author did a really great job of creating a very intellectually driven “genius” character of Sophia in the book. I could understand where she was coming from and how she was feeling, but a few times I actually found myself frustrated with her character, her obsessions, and her lack of social ability. Right up until the end she still seemed fairly clueless, for example it was annoying after Sophia and her best friend Elsie had a fight that Sophia didn’t just come out and ask Elsie why she was upset, given Sophia seemed to understand nothing. Even when Elsie did explain (in my opinion rather poorly) what was wrong Sophia still didn’t get it at all. But I understand that those things were also basically the point of the story. I will say some of the things that Sophia quoted, or obsessed about, or talked about was a little lost on me at times. The book was at times very descriptively dense due to either Sophia or Joshua doing or talking about something that an average person probably wouldn’t understand, and in my case I didn’t necessarily care about the long descriptions, I just wanted to get back to the actual story. Part way through the book I did start to question whether the book would have a happy ending (it seemed dire for a while), but fortunately it did which made reading it generally worth while. Sophia and Joshua’s relationship was sweet, even though Sophia seemed to have the emotional responsiveness of a dead fish. There was one really romantic scene which was ruined by Sophia having some kind of meltdown, and from there things didn’t pick up for me again. It just seemed like Sophia was the same and she would never be able to love Joshua or be comfortable with a relationship. But then I suppose in the interest of a happy ending, suddenly she was ok and wanted to be with him. So, like I said, it had a happy ending. 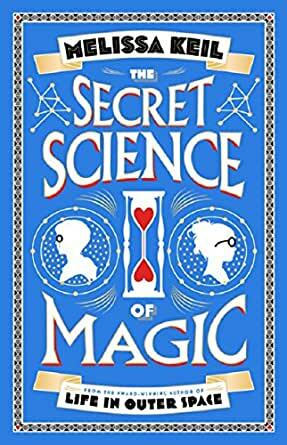 This is a remarkably sharp and funny YA romance and comedy of manners. Our hero, Joshua, and our heroine, Sophia, (who tell the tale in alternating chapters), are smart, engaging, and consistently appealing. As an exceptional bonus the book is loaded with a tremendous supporting cast. Everyone - the hero's little sister, the heroine's older brother, the heroine's best friend, the heroine's best friend's brothers, the hero's friends and employer, and even the hero's creepy comic relief classmate - comes with a complete range of wise observations, snappy one-liners, and dry commentary on the proceedings. So, what's the niggling problem? Well, the hero is fine. He is introduced as a sort of dork, but quickly emerges as a good-hearted nerd-mensch who clearly deserves a classic rom-com happy ending. His "thing" is magic, but that never gets in the way and is often turned to nice metaphorical use. But our heroine - she takes a little more time to figure out. Sophia is a full on math genius savant with an eidetic memory and all the trimmings. That's fine. Really intelligent, funny woman are great. (That's why I'm so fortunate to have married the best one.) But, Sophia is also supposed to be crippled, almost literally, by severe social anxiety. This is never treated seriously with a discussion of autism and the like, but it's also not portrayed as just an awkward girl with poor social skills. The author tries to have it both, inconsistent, ways. This isn't a small problem, because how do you write a book that is one-half narrated by someone who is supposedly incapable of understanding people or processing even the simplest social interaction? Well, you do that by turning her problem off and on as the plot and the narrative require. So, in one paragraph Sophia is staring uncomprehendingly at someone who has asked her a simple question, and in the next paragraph she is making witty, perceptive, edgy, deadpan and shrewd comments about the action. The unfortunate consequence is that every time Sophia kvetches about her anxiety it feels phony and rather precious. Hence, my workaround. I just decided to stop stressing and treat the anxiety's appearance as a convenient narrative device that will keep the lovers apart until the final reel. None of my griping, though, should in any way obscure my main point - this is easily the smartest, wittiest, and fundamentally good-hearted and upbeat YA romance I've read in a long time.